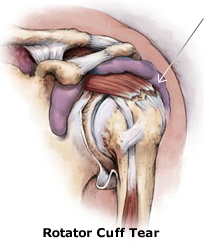 The group of muscles and ligaments in the shoulder is called the rotator cuff. 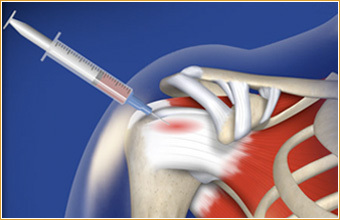 It is located near the under part of the shoulder blade and provides stability and range of motion to the joint whenever it moves. 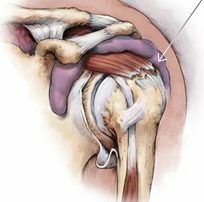 Rotator cuff injuries are very common sport-related injuries, especially in sports that require repetitive overhead arm motions.